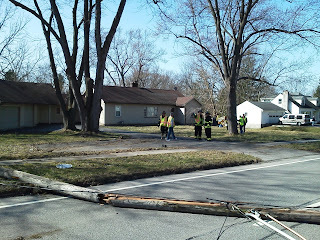 A crash on 441 left several cars damaged, pole down with wires across the road way, and a hydrant knocked off its base. No serious injuries were reported. The fire company was dispatched at 10:38 for the report of a crash at Meadow View Rd and 441 Penfield Rd. 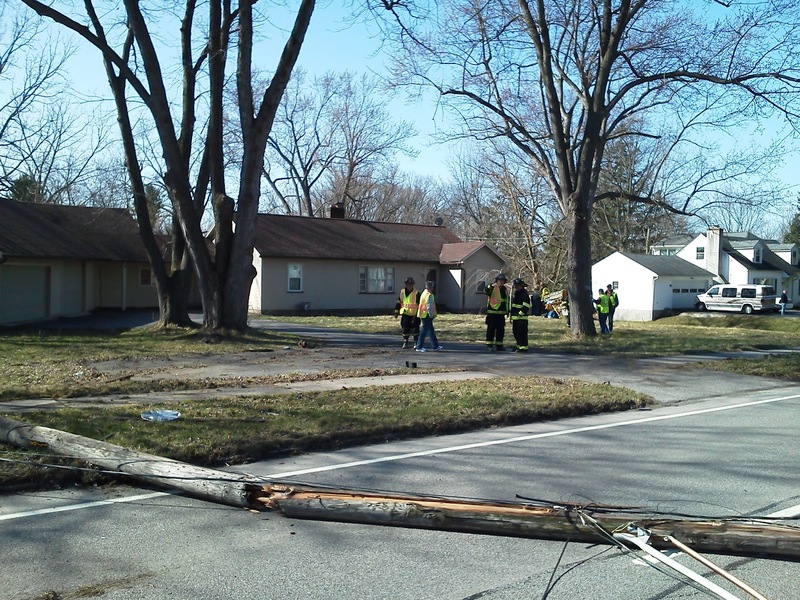 911 reported a vehicle that struck a pole and house. Multiple reports started flooding in putting the accident anywhere from Baird to Willow Pond. The rescue truck was first on scene at Meadow View reporting what appeared to be a single car accident that had knocked down a pole and wires along with a fire hydrant which was also knocked over. Then another car was discovered on the side of a house behind a tree which had actually struck the house. As the scene unfolded it turned out that there were several cars involved as far back as Sanders Farm Rd. The ladder truck from station 2 set up command while the engine company from station 3 took care of the cars that were involved back at Sanders Farm Rd. 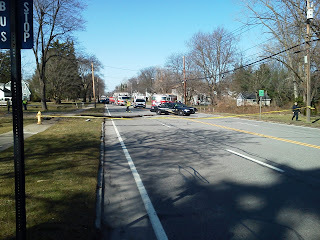 The Fire Company's Volunteer Fire Police where called upon to shut the down 441 Penfield Rd because of the wires down across the road which was a safety hazard. Only minor injuries were reported at the scene, the cause of the crash is still under investigation.